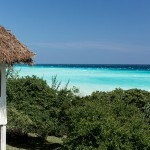 The Manta Resort Hotel is located on Pemba Island, in Tanzania. 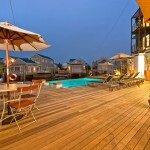 This hotel has several bungalows located on the shores of the Atlantic Ocean and a room directly in the water. This hotel has 17 bungalows. 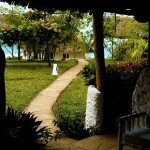 Each bungalow has a double room with a bathroom equipped with a jacuzzi and a private terrace with ocean views. Some of the more traditionally-decorated rooms are located in the hotel’s green gardens. he Garden Rooms are traditional makuti houses. 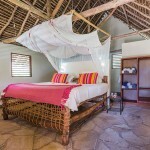 Each room has a kingsize bed covered in mosquito netting in the center of the room, a bathroom and a terrace with garden views. Price is around 360€ per night. There are four Garden Superior rooms. These large, double rooms are connected between them and can be transformed into family rooms. Price is around 432€ per room per night. The Seafront Villas are six villas located next to the ocean. 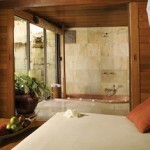 There is a large kingsize bed in the center of each villa and a stone bathroom. These villas have private terraces from where guests will be able to enjoy a colourful sunrise. Price per villa is around 540€ per night. 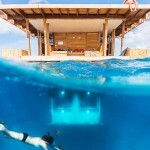 One of the most famous rooms is the hotel’s underwater room. This large room has eight windows from where guests will be able to observe the fishes, which are usually swimming around the structure. Guests who stay in the underwater room will be able to watch the octopuses. A staircase leads to the top floor, where the bathroom and lounge are located. The roof of this subaquatic room has a terrace with hammocks. From here guests will be able to enjoy the views towards the hotel and the ocean. Guests will be able to eat their breakfasts, lunch and dinners on the private deck that joins this private island to the rest of the resort. This room has 250 square meters of space and views towards the Indian Ocean. This private island costs around 1100€ per night. There is an All-Inclusive restaurant on the hotel’s territory. This restaurant served a variety of traditional dishes, including seafood, and has a terrace with views towards the garden. Do not miss the spicy meat dishes, the freshly-baked bread and vegetables from nearby farms. Breakfast, lunch and dinner are all served on the hotel’s terrace. The Beach Lounge is a lounge that has ocean views, located next to the hotel’s private beach. 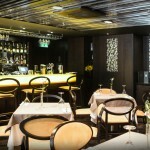 This lounge offers a variety of cocktails, coconut milk and fresh fruit juices. The hotel has a large swimming pool from where guests will be able to enjoy views towards the ocean. The Kipepeo Spa offers many varieties of traditional massages. This hotel has no conference halls. There is a business center with faxes and photocopying machines and a lounge with WiFi access. Located on Pemba Island, a short distance away from Zimbabwe, one of the hotel’s most popular features is its private beach. 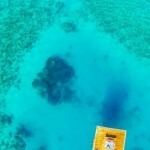 Guests will be able to practice many water-sports, including diving to see the coral reefs and sailing to nearby islands. Another popular sport is scuba diving. 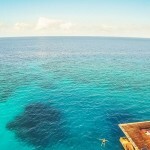 The hotel offers scuba diving lessons and all the necessary equipment can be rented in the lobby. 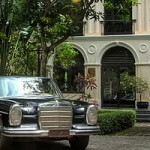 The Chakrabongse Hotel Villas are located in the center of Bangkok, in Thailand. 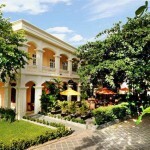 The hotel has four private villas, each one with its own private garden and a large designer pool. This hotel has four villas, and each villa is a large suite. 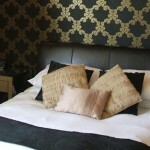 Each suite has a double bed and a bathroom. The suites are decorated with wooden panels. Another separate villa has several double rooms decorated in a Moroccan style. 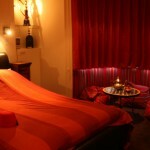 The Mali room is decorated in a traditional Moroccan style. 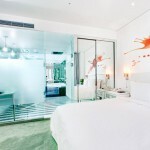 This room has a double bed, a bathroom and a television set, and guests who stay there have access to the hotel’s pool. The Fueng Fa room is another Moroccan room. This room has a wooden double bed, a bathroom and a lounge area with a television set. The Chaba room is decorated with colourful carpets. Price per room is around 131€ per night. The Garden Suite is a villa with a large double room that has access to the hotel’s garden. The suite has a bathroom, a kitchen and a lounge with a table and chairs. The Garden View rooms are located next to the Riverside Villas. These Villas have a price of 263€ per night. 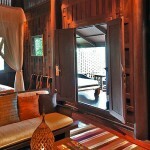 The Thai House Suite was built with teak wood following the traditional style of Ayutthaya villages. This villa is perched up on a platform in the hotel’s main garden. 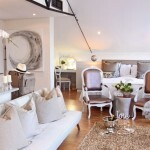 The suite has a double bed and a large private terrace. The terrace has a daybed and views towards the hotel’s pool. Price is around 344€ per night. The River View Suite is a traditional Thai apartment built with teak wood and located on the banks of the river. There is a double room with a double bed, a bathroom, a room with a desk and a chair, a kitchen and a living room. The private terrace has views towards the Sunrise Temple. 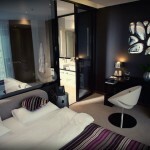 The suite has a price of 395€ per night. The China Suite is a suite with two double rooms. Each room has its own bathroom with a shower. 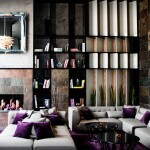 The suite has a large living room with two terraces. The terraces have views towards the swimming pool and are decorated with antique furniture bright from China. This room has Chinese tapestries, silk screens and carved wooden furniture. Price is around 658€ per night. The price includes a continental breakfast. Breakfast, lunch and dinner are served in the pavilion located in the garden. The menu includes many traditional Thai dishes, all of them made with local ingredients. The restaurant and pavilion is located on the banks of the river and offers a personalized service: guests can choose the dishes they want to eat for dinner and the hotel staff will buy the ingredients at one of the local markets. 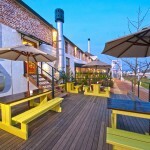 Next to the restaurant guests will find a lounge bar with a barbecue. There is a tropical garden spread out across the palace grounds. The swimming pool is located on one side of the garden, decorated with sculptures and stone statues. The hotel offers a variety of traditional massages at the spa. Guests can rent bicycles to explore the city and canoes to sail around the Chao Praya river. The villas do not have a conference hall. The hotel can organize a variety of events for groups and trips around the nearby towns. The most popular trip is a night-time canoe tour. Trips in traditional boats can be organized. 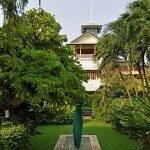 The hotel is located in an oasis in the center of Bangkok. There are several ancient temples near the hotel, and guests will be able to enjoy walks along the banks of the river, which is peppered with landmarks. 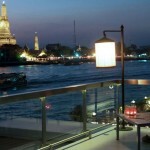 The hotel has views towards the Chao Praya river, located close to the historical city center. The hotel’s main building is an ancient palace that was built for the prince Chakrabongse, who used to stay at the palace when he visited the city. Guests will be able to enjoy themed tours along the river. The Royal Boat Museum and the Orchid Farm are located a short distance away and are worth a visit. 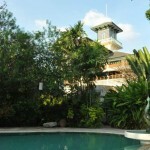 Jimbaran Puri Bali, teak cottages, private pools and sunken bathtubs. 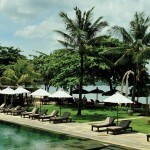 The Jimbaran Puri Bali Hotel is located on the island of Bali, in Indonesia. This hotel has several villas built in the traditional style of the region, and each villa has sea views. 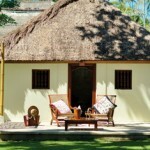 The hotel has 42 cabins with thatched roofs and 22 large villas. There are three types of cabins, and all three types of cabins have a double bed, a bathroom with a shower and views towards the island. There are several types of rooms, 26 Garden View Cottage Suites, seven Superior Garden View Cottages, seven Beachfront Cottage Suites and a Family Cottage that can accommodate up to four people. Each cabin and villa is decorated in a traditional style, with pieces of art done by locals and wooden furniture. 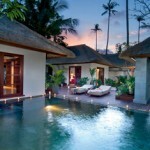 Each one of the villas has its own private swimming pool and a traditional Balinese garden with a white palimanan wall. The garden has several armchairs and loungers from where guests will be able to enjoy the views. 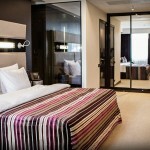 Each room has a double bed, a television with a DVD and a bathroom with a bathtub. Price varies between 202 and 646€ per night. 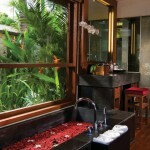 Th Deluxe Pool Villas are located next to the swimming pool, on the other side of the ponds filled with lotus flowers. These villas have marble floors, teak wooden furniture and a hammock with views towards the pool. Each villa has its own swimming pool. 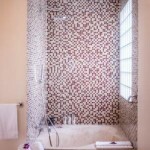 Each one of the rooms has a double bed with a bathroom that has a black stone bathtub, bath salts and a shower. There are two types of these villas, those that have one room with a kingsize bed and those that have two rooms, the first one with a kingsize bed and the second one with two twin beds. The living room is decorated with pieces of local art. The hotel offers complimentary mineral water, fresh fruit, cocktails and a selection of teas to guests who stay at these villas. The Garden View Poll cabins were designed for families and have two room each, one room on each floor. One of the rooms has a large kingsize bed and the other one has two twin beds. Part of the Luxury Cottages have garden views, and some of have views towards the pool. 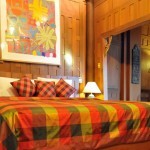 Each cabin has marble floors, carved decorations and teak wood furniture under high ceilings. Each bathroom has a sunken tub and a double sink. There is a private terrace where guests will be able to enjoy the views. There are several types of villa. The Beach View Cottage Suites have large terraces with views towards the ocean. 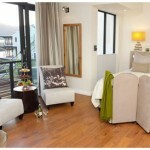 The Beach View Pool Cottage Suites have views towards the swimming pools located in each cottage’s private garden. The Garden View Cottage suites can accommodate up to three adults, and each cottage has a room with a kingsize bed and living room with a sofa bed. The Garden View Cottage Pool Suites are villas that have a private garden with a swimming pool and a terrace with hammocks. 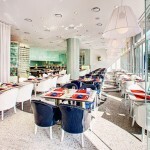 There are several restaurants located on the hotel’s territory. The main restaurant is Nelayan Beach, located on a sandy beach decorated with many colourful lanterns, a setting that is used for concerts. The restaurant serves fresh seafood, local spices and many varieties of dishes from the French and Mediterranean cuisines. The Tunjung Café is known for traditional Balinese and Indonesian dishes. During breakfast visitors will be able to enjoy a range of cured meats, exotic fruit, cheese, natural juices and pastries. The bar has views towards the lotus flower ponds. Another bar is the Puri Bar, where guests will be able to taste many varieties of cocktails. Guests have access to the hotel’s aquatic equipment. Water bikes can be rented for an extra charge. After enjoying water sports visitors will be able to relax in the hotel’s drawing room. The hotel’s infinity swimming pool is located in the center of the resort. The pool has several fresh water waterfalls. The pool area has teak wood lounge beds and is decorated with many palm trees. There is a spa near the hotel’s beach. Guests will be able to enjoy massages under bales, traditional wooden shades. 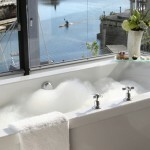 After a massage visitors can relax in the large jacuzzi that has views towards the sea. 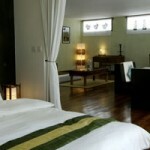 The hotel can organize guided tours and trips around the region. 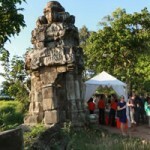 Guests will be able to enjoy trips around the nearby towns and visit the many traditional temples located in the area. The hotel is located on the island of Bali. 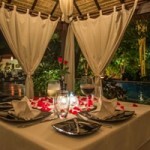 The nearest airport is located a short ride away from the hotel, and the towns of Kuta and Nusa Dua are located nearby. Visitors will be able to enjoy trips to nearby towns and around the region, known for the sea temples of Tanah Lot and Uluwatu. There are several boat tours around the Jimbaran Bay. 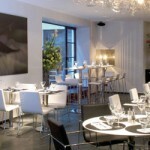 The Be Manos Hotel is located in Brussels, in Belgium. 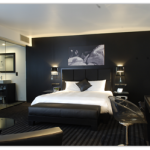 The hotel’s rooms are decorated in black and white colours, and above each bed there is a portrait of one of the city’s inhabitants. This hotel has 60 double rooms and suites. Each room has a large white double bed, a bathroom with a shower, black stone floors and shiny metallic shades on the windows. There are rooms with terraces that have views towards the city, and each bathroom is decorated with a black and white portrait of an anonymous resident that lived in the city decades ago. The doors are made from shiny metal and the rooms are decorated with designer furniture. Price per room per night is between 159 and 445€, and this price includes a breakfast in the hotel’s restaurant. The hotel’s Executive Rooms have a kingsize bed and a living room area. 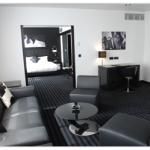 Each room has an LCD television screen, a safe, a minibar and a large bathroom with a black stone bathtub. Some of these rooms have a private terrace. The suites have a room with a kingsize bed and a separate living room area with a dining table. The bathroom is decorated in black stone, and there are bathrobes and slippers for guests. Part of the suites have private terraces. Each suite has two LCD television screens, and guests who stay at the suites have access to the hotel’s large spa and wellness center. 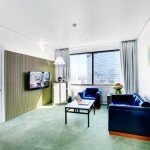 The Junior Suites are suites with one room and a large living rooms. In each room there is a kingsize bed and a table, and the living room has a large flat screen television set, a minibar and a sofa. The suite’s bathroom is decorated in black stone and has carved furniture, and part of these suites have their own private terrace. The Be Lella Restaurant is known for its dishes, where east meets west, which are made using traditional Mediterranean spices and Belgian products. 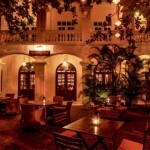 The Be Manos Bar is a chic bar with several terraces where guests will be able to enjoy cocktails and juices. There is a large breakfast hall where visitors will be able to enjoy traditional Belgian breakfasts. 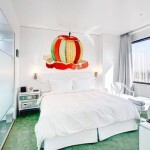 This hall is decorated in apple green colours with the hotel’s traditional black and white furnishings. 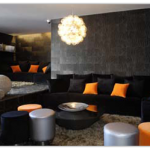 The Black Lounge is located on the third floor of the hotel. 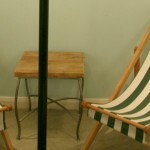 The lounge has access to a terrace that has wooden floors, armchairs and sofas. This lounge is known for its cocktails and tapas. One of the lounges has a business center. Half of the lounge is decorated in white and the other half is decorated in black, and there are white leather sofas and black cushions. The business center has Internet and a bar that is illuminated with many colours. The hotel has its own spa, the Wellness Center. This spa has a steam room and a large sauna where visitors will be able to relax. There is a room with a leather massage bed where guests will be able to enjoy massages and other skin treatments. The spa is decorated with black stone. 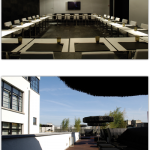 The hotel’s conference halls can be adapted to several types of events. Hall 1 and Hall 2 do not have natural light and have special lights to maximize concentration. Hall 3 is the Black Lounge, a lounge where one half is the lounge and the other half has a chimney and a business center with access to a terrace. The hotel is located in the center of Brussels. A short distance away from the hotel visitors will find many of the official European Union headquarters, and there are many landmarks nearby. The hotel can organize a transfer shuttle to and from the airport and the Eurostar and TGV train stations.